» Get a Price Now! 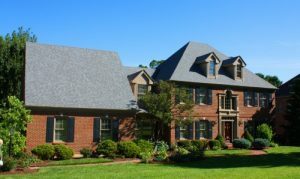 One of the foremost roofing contractors in the Cincinnati, Ohio, area, Advantage Roofing & Home Exteriors has been raising the bar since its founding in 2001. We help homeowners update their houses with premium roofs that effectively protect their residences from the elements, and we will be excited do the same for you. As a local, family-run business, we put a great deal of emphasis on creating long-lasting relationships with our customers, ensuring we are always available to answer their questions and address their concerns. Even years after an installation, we will be there to assist our customers in any way we can. As premier roofing contractors, we install quality asphalt shingle roofing from the popular manufacturer CertainTeed. The roofs we install from CertainTeed are beautiful, available in a variety of rich, vibrant colors that won’t fade over the years. These roofs are also resistant to winds of up to 110 mph and never harbor unsightly algae. What’s more, as dedicated roofing contractors, we provide our customers with excellent service. At any point in your project, you will be able to call us and speak to a real employee in our office. Our dedication to customer satisfaction is one of the reasons we have earned an A+ rating with the Better Business Bureau and how we became the area’s most trusted, reliable, and recommended roofing contractors. Contact Advantage Roofing & Home Exteriors today to learn more about why we are the go-to roofing contractors in the Cincinnati, OH, area. One of our friendly and knowledgeable specialists will be happy to schedule a complimentary consultation at your convenience.